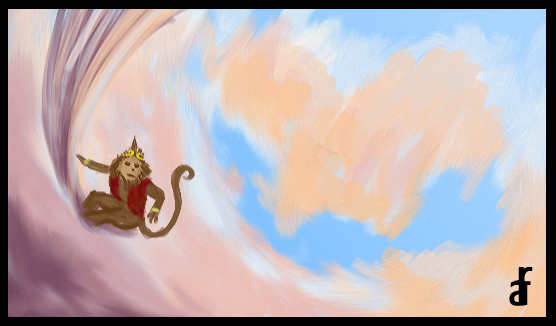 So I decided to recreate some characters and environments from the monkey king. This is what I thought of today. Just a monkey surfing in the clouds lol. 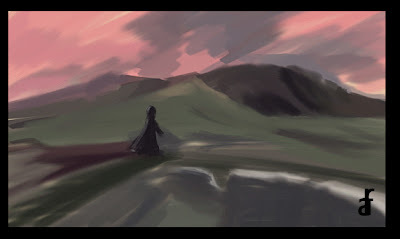 Will probably do more of these concept paintings.. I really enjoy doing these. It would be cool to see these a bit bigger if you can upload them that way.